Most stories about insanely generous tips end in happy tears and probably a sweet ATV purchase. This one does, too (the happy tears, not the bitchin' ATV)... but not at first. 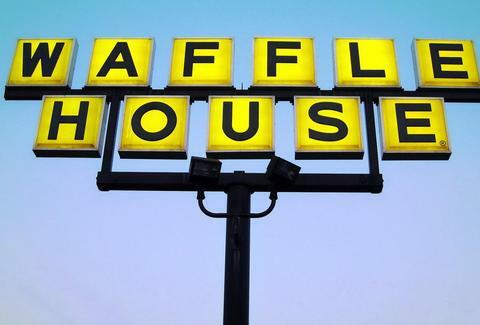 North Carolina Waffle House waitress Shaina Brown got the best 3am surprise ever last month when a customer left her a $1k tip on Mother's Day for having "a good spirit". She was understandably excited, until her boss told her they would be giving the money back to the late-night benefactor. According to WaHo's rhetoric, large tips on cards are refunded as a rule in case diners later dispute them: Apparently, only cash and personal checks are allowed in cases of 500% gratuity. Luckily, thanks to the work of a fearless Charlotte Observer reporter, the customer got Brown's name and contact info, and is writing her one of those personal checks. Hopefully Shaina's future customers will bring suitcases of cash, or Waffle House will rethink its Dickensian policy. Kristin Hunt is a food/drink staff writer for Thrillist, and would spend an unexpected $1,000 on a THOUSAND WISHES. And an ATV... obviously. Follow her at @kristin_hunt.